In the popular imagination, internships involve fetching coffee without pay and being ignored by glamorous people. In fact, most of them involve drinking coffee for minimum wage and being ignored by low-level employees just a few years older than you. 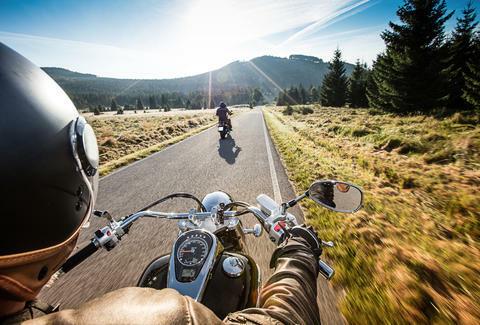 There's one internship, however, that definitely breaks that mold: Harley-Davidson's, which involves getting paid to ride around the country on a motorcycle, which you get to keep. This opportunity, which is called the "Find Your Freedom" internship, was just announced by Harley-Davidson and could be a line on your resume after this summer. The full-time gig lasts 12 weeks, during which you'll cruise around on a Harley while you "chronicle your summer on social media" and rep the company as a "brand enthusiast." To be clear, this will be far more fun that tending to Excel documents. If you don't know your way around a pair of handlebars yet, don't worry. The program also includes some time at the Harley-Davidson Riding Academy course. And just to reiterate here: You get to keep the motorcycle. Eight applicants will be chosen, and applications are being accepted from now until May 11, 2018. So, if you're a recent grad or a current college junior or senior looking for a career in marketing or social media, you should probably apply ASAP. To do so, you'll "make a video, write an essay, create a photo collage, whatever you want" showing what freedom means to you and send it to FreedomInternship@Harley-Davidson.com. Check out the job listing for more information. Or you could get paid to be ignored while you drink coffee like everyone else.